Will Sony's VAIO W series netbooks fill the hole that the VAIO P didn't? 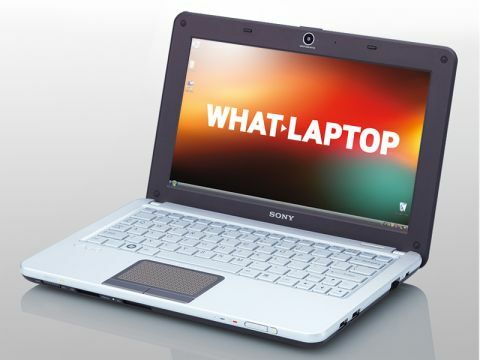 It has taken Sony a long time to release its first netbook and the result is the VAIO VPC-W11S1E/W. The standout feature is its 10.1-inch screen. The 1366 x 768-pixel resolution is the sharpest we've seen on a panel of this size. Image quality is truly stunning with fantastic colour and contrast. The machine's design is very impressive and it looks exactly like a scaled-down version of Sony's larger products. The textured palmrest proves suitably durable and the solid matt-white lid also provides excellent protection for the screen. It also has one of the better netbook keyboards we've seen, featuring Sony's popular isolated-key style. The shallow keystroke doesn't allow the same level of comfort as many Samsung netbooks, but with decent spacing and large and responsive keys, it's easy to adjust to. The touchpad is particularly large and boasts big, responsive buttons, making for an excellent working environment. The 160GB hard drive also provides plenty of room for all your files and folders. Portability is good and, at only 1.1kg, it is easy to carry anywhere. A 3-cell battery is in place, providing 166 minutes of power, meaning that if you plan to be away from the office for an extended period of time you'll need to take the charger with you. Connectivity is up there with the best, and not only do you get 802.11n Wi-Fi, ensuring a fast connection to the web in hotspots, but Bluetooth is also included for wireless interaction with compatible devices, such as smartphones. A VGA-out port lets you connect to a larger monitor and two USB ports leave room for peripherals – although they're positioned closely to each other and one large peripheral will obscure the other. The Sony VAIO Mini W doesn't disappoint. It's a great little machine that's very intuitive to use and, if you're not put off by the price tag, ranks among the best models on the market.